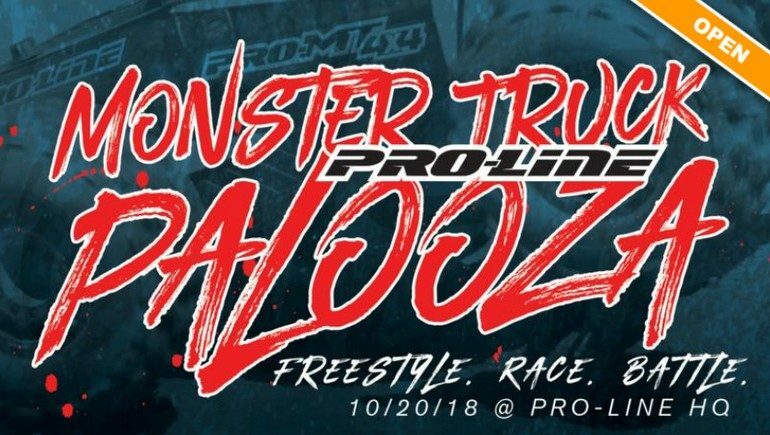 Event – Pro-Line Monster Truck Palooza October 20th « Big Squid RC – RC Car and Truck News, Reviews, Videos, and More! Mark your calendars now folks, Pro-Line has just dropped the date for the 2018 edition of their Monster Truck Palooza event. Last year was the first for Monster Truck Palooza and it turned out awesome, the 2018 event will be even bigger and better! What exactly does the P-L have in store for you at Monster Truck Palooza 2018? How do you get more details and get pre-entered? Simply click on This Link to make the jump over to the 2018 event’s official Facebook event page.